Skardu town is the capital of Skardu District located in the North part of Pakistan. Skardu, the part of Pakistan’s Baltistan region offers cool climate all the time as it locates at the height of 8000 feet from sea level. It situated on the banks of the river Indus as well. 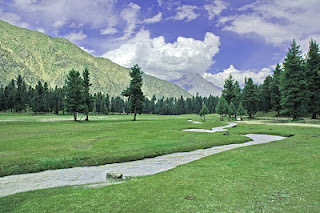 There are five main valleys in the district Skardu, Shigar, Khaplu, Rondu and Kharmang. Skardu Valley and Shigar Valley are the most attractive places here. There exists three lakes Satpara, lower Kachoora, upper Kachoora near by this valley. K2, the second-highest mountain on Earth(8,611 m) lies in this district. Deosai National Park, which was established in 1993 to protect the survival of the Himalayan Brown Bear, also located in this district only. Snow Lake, Sheosar Lake, and Shangrila Lake are the other lakes lies in this district.